Islamic intellectual culture suffers from a philosophy deficit. While there are a few philosophical thinkers in the Muslim World today none of them enjoys the rock star status that many pedestrian preachers and YouTube stalwarts enjoy. What this tells us is that people are beginning to value knowledge but are unable to distinguish between preaching and thinking. What we need today are critical thinkers who force Muslims to think and not feel-good narratives that create comfort bubbles and inhibit thought. It is only through reading and engaging in philosophical discourses will the intellectual level of the Muslim community rise. Towards that end I want to recommend five Muslim philosophers that all Muslims must read. The purpose of this introduction is to generate enough curiosity so that people can start reading them. One does not need to be a student or teacher of philosophy to read the works of these great philosophers. The complexity and sophistication of their work is an indication of the quality of intellectual life that prevailed in what is often referred to as the golden age of Islam. All educated Muslims should familiarize themselves with their work just to be intellectually plugged into their own heritage. One does not have to read them in the original, great if you can. Reading at least secondary sources of their works can go a long way in helping one grasp the broad intellectual contours of Islamic civilization. Abu Nasr Muhammad al-Farabi, also known in Arabic as Al-Muallim Al-Thani, the second teacher (after Aristotle) is easily one of the greatest philosophers of the world. His contribution to both Aristotelian and Platonic thought is immeasurable and the modern age owes a great debt to this Central Asian polymath who not only preserved but developed Greek philosophy. He contributed to philosophy, mathematics, music and metaphysics, but I am partial to his work in political philosophy. His most important book on political philosophy was ārā ahl al-madīna al-fāḍila (The Views of the People of The Virtuous City). In his Virtuous City, Al-Farabi seeks to establish a city based on justice, much like Plato’s Republic, that seeks the ultimate happiness of its citizens and is guided by the enlightened views of its philosophers. I think of Al-Farabi as the first Muslim to explicitly consider the merits of democracy. For someone who has been arguing that Islam and Democracy are compatible, it was delightful to read his views on democracy, which are very positive. Al-Farabi suggests that free societies have the potential to become virtuous societies because the good people in free societies have the freedom to pursue virtue. Reading Al-Farabi is illuminating. He not only makes you think about a just polity, but also makes you think about thinking itself. Abu Hamid al-Ghazzali is one of the most important scholars of Islamic thought. He was a philosopher, a legal scholar and a theologian and towards the end of his life a mystical thinker in the class of Ibn Arabi. For many Muslims al-Ghazzali is the paragon of the Mujaddid, a reviver of Islam. Coming at a time when there were many disputations between philosophers and theologians, between rationalists and traditionalists and the Mystical and the orthodox, he tried to bridge these divisions. His Ihya Ulum al-Din, The Revival of Religious Sciences embarks on a massive endeavor to find a golden mean between all these diverging trends. The mature al-Ghazzali is very interesting. After his intellectual crisis and subsequent spiritual awakening he becomes more like Sheikh Rabbani of India who balanced Shariah and Tariqah (law and mysticism). While his Ihya is important and should be read by all Islamic scholars, all Muslims who go to college should at least read Al-Ghazzali’s Kitab al-Munqidh min al-Dalal (Deliverance from Error) in which the esteemed Shaykh discusses his intellectual and spiritual doubts and his quest for truth. This one book is an entire liberal arts education in itself. In his Fasl al-Maqal (The Decisive Treatise) he makes the case for philosophy and for the compatibility of science and religion, faith and reason. His Tahafat al-Tahafat (Incoherence of Incoherence) is a systematic rebuttal to Al-Ghazzali’s Tahat al-Falasifah (Incoherence of Philosophy) and a strong defense of Aristotelian philosophy. Together the two classics by Ibn Rushd and Al-Ghazzali are a highlight of Islamic philosophical heritage. Muslims must read these philosophers; some of their arguments are still germane. Ibn Arabi is perhaps the most unique, most perplexing and at the same time most profound Muslim philosophical thinker. He was not a rational philosopher like al-Farabi or Ibn Rushd. He was mystical, speculative and indescribable. Ibn Arabia was perhaps the first postmodern and feminist thinker in human intellectual heritage. His works Fusus al-Hikam (Bezels of Wisdom) and Futuhat al-Makiyyah (The Meccan Openings) are perhaps the acme of Islamic mystical and philosophical thought. One can never fully appreciate Islamic intellectual heritage without trying to understand Ibn Arabi. Fortunately, Professor William Chittick has written several books that translate and comment on Ibn Arabi’s thought and make him partially comprehensible to ordinary mortals like me. 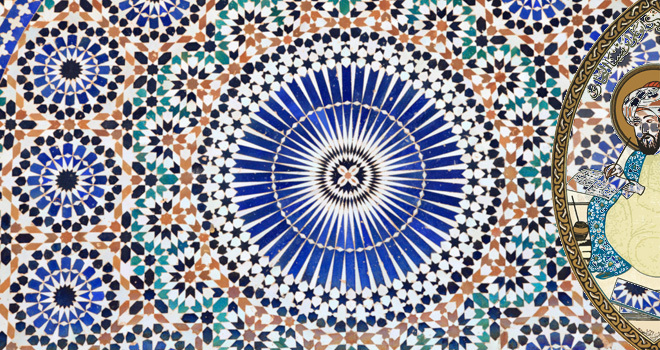 To me personally, Ibn Arabi provides the most compelling explanation of the purpose and meaning of creation as a continuous self-disclosure (Tajalli) of God. His reading of the sacred texts is always surprising and tantalizing to the thinking mind. Most orthodox scholars fear and hate Ibn Arabi, because they cannot understand him. Once they do, they are no more orthodox. It would be a colossal tragedy if you are a Muslim and have intellectual leanings and never read Ibn Arabi, Al-Sheikh al-Akbar. Ibn Khaldun is the Sheikh of all social scientists. He was a philosopher of history and the first social scientist. He was the first major Islamic thinker who emphasized empirical thought over normative theory. Ibn Khaldun made three very important contributions to social sciences. He emphasized the importance of empirical facts, developed a theory of change and identified tribal solidarity as the driver of change. What Muslims need today are literally a million such social scientists that can help bring good governance to the Muslim World. Last year I spoke at the conference hosted by the Ibn Khaldun Society in Istanbul. I was both surprised and delighted to see the growing interest in his work. There have been many such conferences trying to revive, even build a social science based on Khaldunian approach. I am not sure if his ideas matter substantively, but his spirit is really needed. He must be taught in all Muslim high schools and all colleges regardless of the discipline. His interests in political theory and diplomacy give him a very special place in my library. I hope this very short introduction to some of the greatest thinkers of Islamic heritage generates enough curiosity that young Muslims take interest in them. There is no point in bragging that once we had a great civilization and that we had a golden age, if we are not familiar with the nuggets and contents of that glorious age; time to head to the library folks.